The best Defy Stain for cedar is Defy Hardwood Stain, which is specifically formulated for cedar as well as other hardwoods like mahogany and redwood. This synthetic semi-transparent finish will dive deep into the hard to penetrate wood fibers of the hardwood types. Defy Hardwood Stain for cedar is available in 3 different color tones that still allow the beauty of the wood grain to show through and will even enhance its appearance. For the best results in using Defy Hardwood on a cedar, pressure wash the wood with Defy wood cleaner to remove dirt, grime, and grayed wood fibers. Then use Defy wood brightener as a final step prior to staining the wood with Defy Hardwood Stain. This deep penetrating synthetic stain will protect cedar for several years while enhancing the wood grain’s natural beauty. How long does a new cedar deck need to weather before staining with Defy Hardwood? THe moisture in the cedar is approximately 12%. Should it still be allowed to “dry out” 3 to 6 months? Ideally I would like to stain before winter. And a final question. For a 2 story deck is there any benefit (or harms) other than looks to staining the bottom of the deck boards? Yes. let it weather for 3-6 months. Prep with the Defy Wood Cleaner and Wood Brightener. The only benefit would be for appearance to stain the undersides. I have a cedar play gym the is about four year old and needs to be re-stained. What stain and cleaner would you recommend? Do I need to remove any plastic pieces first? Remove or tarp off the plastic pieces. Use the Defy Extreme Stain. As for the prep, does it have an old coating? If so, use the Defy Stain Stripper. If not, use the Defy Wood Cleaner. Brightener after either one. It came with a clear stain. Now it just looks weathered. Try the Defy Wood Cleaner and then the Wood Brightener for the prep. I am ready to treat my new (2 months since installation) cedar fence, what would you recommend ? 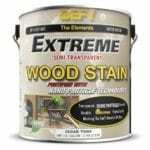 Several years ago I applied Defy Extreme Natural Pine to the cedar siding on my home. 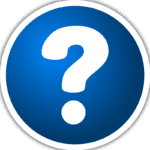 I just read this article that the Defy Hardwood is better for cedar. It is about time for another coat. I plan to use the cleaner and brightener and then reapply stain. Can I switch over to the Defy Hardwood Natural Pine if I originally used the Defy Extreme Natural Pine? Hello, to switch you would need to strip and brighten to remove the Extreme. Best to stick with the Extreme. It works great on verticals. The Hardwood is suggested more for cedar decking.